When your computer system isn’t running optimally, you can’t serve your clients. And those clients end up as easy targets for your competition. If you permanently lost your critical business information, how long could your business survive? How much money are you willing to waste on repairing and upgrading your in-house IT system before you start using IT to grow your business? There's nearly an infinite list of ways to manage, protect and support an in-house computer system. And only a fraction of them proactively prevent IT problems or help grow your business. Merely reacting to IT problems as they occur won’t stop the vicious cycle of continually upgrading and repairing an in-house IT system or provide the ‘payoff’ your business needs to grow. What you need is a systematic and proactive way to prevent IT problems at a predictable price point that allows you to put more money back into your business. So how do you realize these high impact changes? Work with a fully-managed IT solution like IsUtility®, developed by Xvand Technology , the acknowledged expert in utility computing services for Houston’s small and mid-sized business. Our Houston IT consulting is backed by 16 years of research and proven client experience in helping our clients grow by putting capital dollars back into their business. Many Houston businesses have already discovered that, unlike conventional, in-house IT, IsUtility delivers IT resources as a utility, removing the burden of IT ownership and delivering at least 99.9% uptime at a predictable monthly price that has enabled them to grow by as much 400%. Our Houston IT consulting service helps small and midsize-business executives replace the risks and capital costs of in-house servers with a Fortune-500 infrastructure and a 99.9% uptime guarantee . Our clients assume very little IT overhead. With IsUtility®, your data runs securely on our enterprise-level infrastructure, so we assume the costs and risk of upgrading, repairing and managing it. Unlike conventional computer services, there is never any potential for misguided advice from vendors to buy capital-intensive equipment. Instead of charging ‘on-the-meter’ for select technical issues, our 24/7 Houston IT support is unlimited, included in the IsUtility® service. So it’s in our best interest to resolve your issues the first time. Our managed services remove capital-intensive IT costs and provides the scalability to deploy technology resources on an on-demand basis. 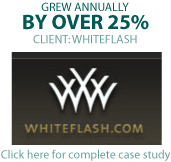 This enables our clients to reduce the capital constraints that limit growth. Our per-user fee ensures that we only grow as they do. Simply put, we’ve weaved our clients’ growth objective into our business model.